Here you will find information about the Monster High Dolls that we are currently buying and the prices we are paying for them. 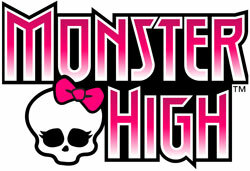 We have over 500 Monster High products listed. The easiest way to find Monster High dolls is to search the UPC barcode that is on the package or type in the name. There is a search box at the top right of this page. We do not list every doll or item that has been made for Barbie. Any that are not listed can be sold to us at the bulk prices shown below if they fit the listing. - Must be in new original packaging (unopened & sealed).